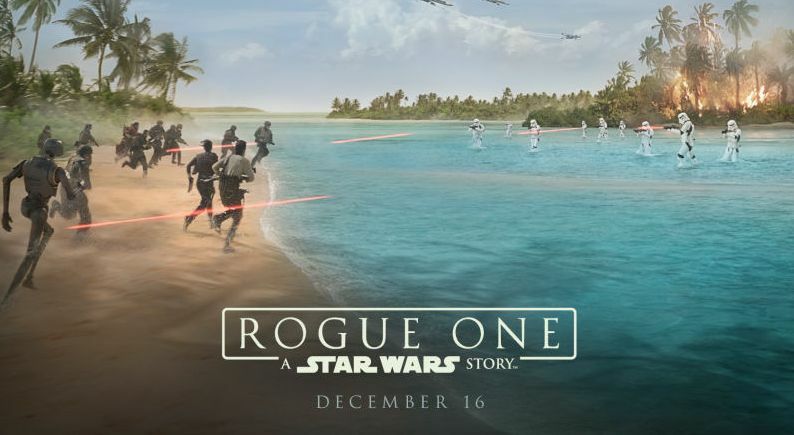 Star Wars fans attending the South By Southwest Festival this weekend in Austin, Texas will want to take time to check out the all new immersive Rogue One: A Star Wars Story experience that Lucasfilm is running. The details about the experience are vague but it will involve participants stealing the Death Star plans and trying to get the off Scarif. The experience will run from 10am-7pm from March 10th to 12th at Grimes Studio (500 E. Fifth St., Austin, TX 78701). Escape from Scarif, an all-new, immersive experience inspired by Lucasfilm’s “Rogue One: A Star Wars Story,” will challenge South by Southwest® (SXSW®) Conference and Festivals attendees to join the rebellion, March 10 – 12. Participants will infiltrate the Empire and must pass a series of tests in order to steal the plans to the Death Star and transmit them back to the Rebel Alliance. Will the Force be with you? Hopefully this event is not limited to SXSW and fans attending other events throughout the summer (such as Celebration, San Diego Comic Con, D23 Expo, etc.) will have the opportunity to try it out. It sounds like it will all be "in-universe" so to speak, so perhaps it might give a small taste of what the upcoming Star Wars themed land at the Disney Parks will be like. This won't be the only Star Wars event taking place during SXSW. Rogue One director Gareth Edwards will be one of the conferences key note speakers. SXSW runs from March 10th-19th in Austin, Texas.